The service sector is one of the dominant sectors in India. It provides millions of jobs every year dna still going strong. It is accounted to be 92 lakh crores of GVA at present. The same also attracts FDI, so it is important for the domestic and internationally service providing companies to know about SAC codes as defined under Goods and Services Tax. SAC (Services and Accounting Code) codes are based on the Harmonized System of Nomenclature which is an internationally recognized system for classifying and codifying all the products in the world. Breaking up the 6 digit SAC in GST. For example, the SAC for Information technology (IT) design and development services is 998314.The first two digits in SAC is the same for all services, i.e., 99. The SAC codes and GST rates against the different services gives the dealers and business people a clear understanding of tax levied on the services they offer or the services they receive. SAC codes are important for the business, the business people who provide services must use SAC code during GSTR filling. 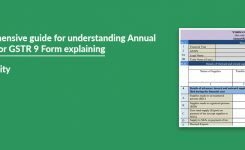 A classification system developed and issued by the (CBIC) Service Tax Department of India to classify various services is known as SAC or Services Accounting Code. These codes are used to classify services for better measurement, taxation, and recognition of services. These codes are controlled by the (CBEC) central board of excise and customs. SAC (Services and Accounting Code) codes are based on the Harmonized System of Nomenclature which is an internationally recognized system for classifying and codifying all the products in the world. This system enables the compliance of GST based on international standards. It will provide a common structure to the government for the proper collaboration of data related to sales and purchase and analyze the same. For example, the SAC for Information technology (IT) design and development services is 998314. The first two digits in SAC is the same for all services, i.e., 99. The last two digits represent the detailed nature of services, in this case, Design, and Development services. It is mandatory to insert this detail for registration. These codes help to identify specific goods or services amongst the vast number of goods and services available. The main difference between the HSN and SAC is that HSN prescribed codes are meant specifically for Goods whereas SAC specifies codes for services. 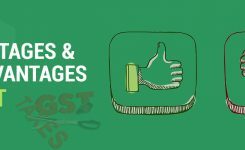 Other difference between both of them is the number of digits in their code and their relevance, for example, HSN code has 8 Digit codes whereas SAC has 6 digit codes. The SAC codes and GST rates against the different services gives the dealers and business people a clear understanding of tax levied on the services they offer or the services they receive. As India is presently on services driven GDP provides jobs for crores of Indian citizens , it is important to know the SAC codes. 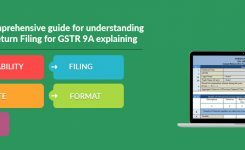 SAC codes are important for the business, the service providers must use SAC code during GSTR filling. The services ranges from providing hospitality services, educational services, financial services etc. All the services are classified under chapter 99 in HSN module, which is allocated to service. SAC code should be mentioned in the GSTR forms. 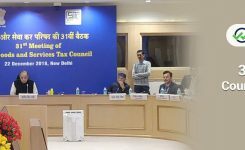 The criteria of using the SAC code in the GSTR filling. SAC code is not mandatory if the companies turnover is less than Rs.1.5 crores. SAC code is mandatory for the business turnover is between Rs.1.5 Cr to Rs. 5 Crs. Above Rs.5 Crs turnover of the dealer or company one must mention the SAC codes. What is the difference between HSN code and SAC code? 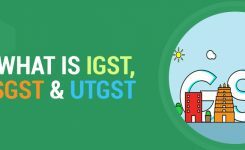 GST (goods and services tax) is implemented in India on 1st July 2017. Under GST, HSN codes and SAC codes are used to classify different goods and services. HSN code is used to classify the goods and SAC code is used to classify different services. 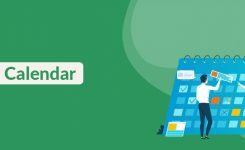 Is it mandatory to mention SAC code in invoice? SAC codes are used to classify different services provided by business companies. If the turnover of the service provider is more than Rs.1.5 crores then he/she must mention the SAC code in invoice. And during GSTR fillings he/she must mention the SAC code for automated form filling. It saves time and money. 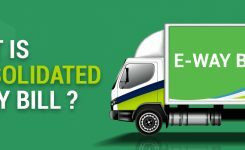 What will be SAC code for works contract? The SAC code for works contract comes under the heading 9954. With the help of SAC code we can find the GST rates of the works contract. The present GST rate of works contact is 18%. 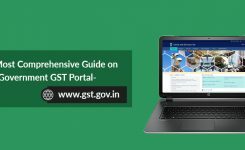 GST (Goods and Services Tax) India, Guides, How to use government GST Portal?